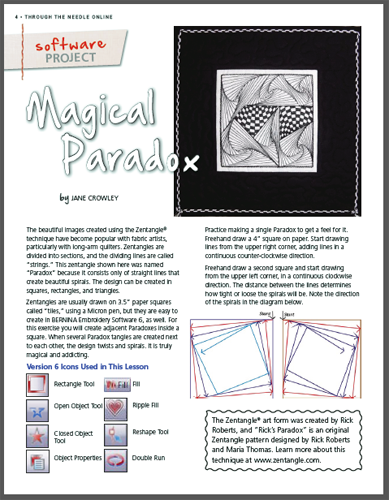 What can you do with a Magical Paradox Zentangle? 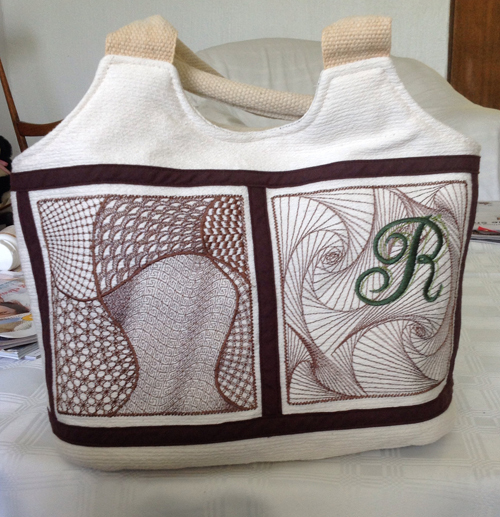 Make a personalized bag! I am one of the many thousands that read all the articles etc on the BERNINA USA website and watch all the webinars. You are all doing a sterling job. I got inspired by the digitized Magical Paradox design by Jane Crowley and decided to make use of this project by making the squares into a handbag. 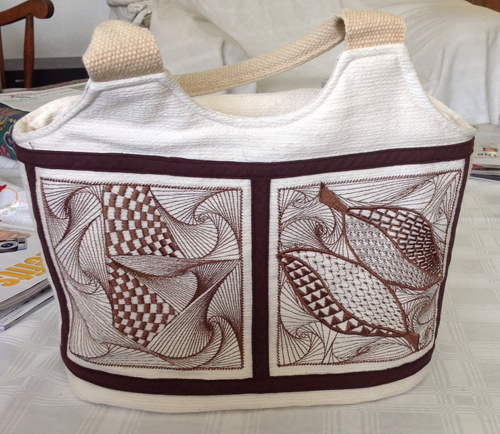 The handbag was a class that we had at our local BERNINA store in Boksburg, South Africa. If you are wondering about the handles, those were taken from a worn-out hessian [burlap] Tesco shopping bag that I bought while visiting my daughter in the UK a couple of years ago. Thank you for inspiring us all over the world. I would like to buy zentangles embroidery designs-anyone know where to purchase?